Have you or a loved one suffered from heart failure, congestive heart failure, cardiac failure while using Onglyza or Kombiglyze XR? Even worse, did someone you love pass away while taking either of these drugs? If so, you may have a legal claim for compensation. Onglyza (Saxagliptin) was approved in for the treatment of type 2 diabetes in 2009. The medication, a joint effort between AstraZeneca and Bristol-Myers Squibb is a member of a class of medications known as incretin mimetics. Normally the body produces incretin hormones to trigger the release of insulin following a meal. Incretin mimetics work by mimicking the incretin hormones to trigger a release of insulin in diabetics. 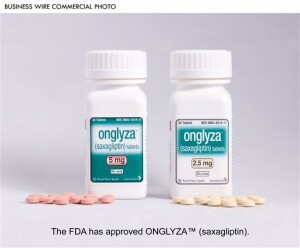 Since its release in 2009, Onglyza has quickly become a strong selling drug, topping $700 Million in sales in the year 2011. 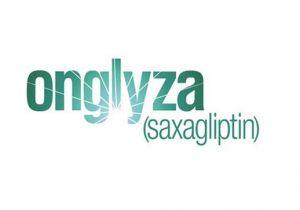 Onglyza has been linked to more than one serious health concern. For some time studies have suggested a link between Onglyza use and pancreatitis which can lead to pancreatic cancer. A 2013 study in Diabetes (a medical journal) showed an increase in pancreatic mass and precancerous cell changes in users of incretin mimetics like Onglyza. More recently there has been evidence of an increased risk of heart failure due to Onglyza use. In September of 2013, The New England Journal of Medicine published a study in which researchers found Onglyza led to an increased rate of hospitalization due to heart failure. The FDA itself began to look into the link between Onglyza and heart problems. This investigation, which could result in regulatory action such as an update warning label or a recall, will involve a review of the data from the SAVOR trial. The findings of the SAVOR trial were first reported in August of 2013 and showed a 27% increased risk of hospitalization for heart failure among Onglyza users. In addition to Pancreatitis and heart failure, there is evidence that Onglyza users may be at an increased risk of thyroid cancer. Onglyza belongs to the class of drugs known as incretin mimetics which includes several drugs whose users have reported instances of thyroid cancer to the FDA. In fact, the FDA issued a safety warning in 2011 about a possible link between thyroid cancer and Victoza (liraglutide) after a study showed doses of the incretin mimetic caused rats to develop malignant thyroid cancer. While research is still ongoing, the evidence of a possible link between incretin mimetics like Onglyza and an increased risk of thyroid cancer is troubling. Sanders Phillips Grossman is a joint venture between two of the nation’s top mass tort firms in Phillips Law Firm and Sanders Viener Grossman. We represent people who have been harmed by defective drugs and medical devices throughout the United States and Puerto Rico. Our outstanding attorneys have years of experience fighting against the greed of America’s drug and medical device companies. The companies we fight against are some of the largest, wealthiest and most influential entities in the world. Here at Sanders Phillips Grossman we have the type of experienced and savvy attorneys to handle a claim against these companies. Our history in dealing with these types of claims has allowed us to take leadership roles in many of the national defective drug and device litigations. When your life has been harmed by the side effects of a defective drug or medical device, the team at Sanders Phillips Grossman is here to help. Contact us anytime day or night for a free case evaluation. We represent our clients on a contingency fee basis. This means that if we do not win your claim, there will be no obligation for you to pay us. The only way we are compensated for our services is if we are successful on your claim. A successful outcome on your claim could entitle you to damages for medical expenses, wage loss, pain and suffering, loss of enjoyment of life and loss of consortium. We are available to discuss your options further 24 hours a day. Contact us today for a free confidential consultation. Sanders Phillips Grossman is currently accepting cases for people who have used Onglyza and suffered from serious side effects. If you or a loved one have taken Onglyza to treat diabetes and have suffered pancreatitis, pancreatic cancer, thyroid cancer, heart failure or has passed away, please contact Sanders Phillips Grossman today. We want to hear your story. We are standing by 24 hours a day, 7 days a week to speak with you.